Are Tooth Stains Ruining Your Lovely Smile? The first impression you make on anyone depends a lot on the smile you flash at them. A lovely smile with perfect teeth will definitely make a more positive impression than a smile that flashes your pearly yellows or browns! 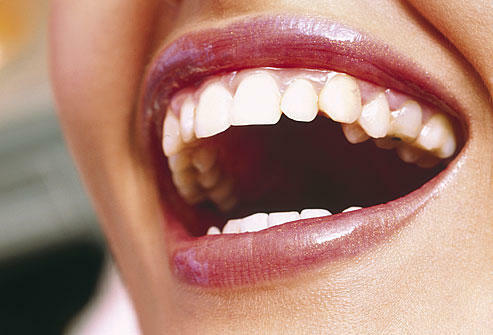 Whether you have tooth stains or not, you must read on to know what causes these stains and how can we get rid of them. Almost all beverages except water cause tooth discolortion. From tea and coffee to colas and wine, all the drinks that can cause stains on a tablecloth can cause stains on your teeth too. Besides these, smoking or chewing tobacco also causes stains, and so does poor oral hygiene. 1. You could try dipping your wet toothbrush in baking soda and brushing your teeth with it. Baking soda is known for its cleaning properties and it can help with tooth stains too! 2. Peroxide Prophy paste is available at most pharmacists. It doesn't taste very nice, but it certainly helps with getting your pearly whites back! 3. Foods that cause crunching in the mouth are good for removing stains. When you chew on apples or celery, the crunch causes a soft grinding action on the teeth, which helps in removing stains and cleaning the teeth. Avoid chewy foods and go for crunchy foods! 4. Medical stores sell over the counter whitening agents that usually work well. Just make sure it is not heavy on chemicals that may cause damage. 5. If nothing seems to work, go and see your dentist. There are many professional dental treatments that can help you with removing the stains on your teeth. Whatever you do, you must take care of your oral hygiene by brushing twice daily and regular flossing. 3 Awesome Tips to Whiten Your Teeth at Home. How Different Beverages Affect Your Teeth? Your Food Can Whiten Your Teeth! Your Food Affects Your Teeth Too! How To Have A Killer Smile? Shining White Teeth in 3 Minutes!